The guidelines will help diagnose HIV in places that struggle with diagnostic procedures. The medical world’s diagnosis system is in great need of an upgrade. Some people aren’t properly diagnosed for diseases — and worse — some are diagnosed for the wrong disease. 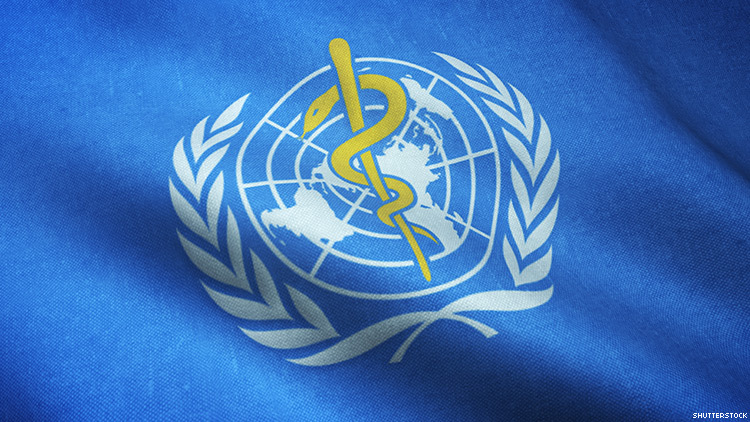 The World Health Organization (WHO) officials recently released the first-ever list of diagnosis practices that provides guidance for medical practitioners across the world. Few will benefit from the list more than the LGBT community, where better HIV diagnosis practices are needed. There are many reasons why a list of this nature is pertinent to good healthy practices around the world. An estimated 46 percent of California adults with type 2 diabetes, for instance, remain undiagnosed because of major flaws in the way we diagnose diseases. There are many other areas that fall short. In order to fix the problem, WHO published on May 15 its first Essential Diagnostics List, a catalog of the tests needed to diagnose the most common medical conditions as well as a number of global priority diseases. Director-General of WHO, Dr. Tedros Adhanom Ghebreyesus, said that no one should suffer or die simply because of the lack of a proper diagnosis. The list focuses on in vitro tests, which are defined as tests like blood and urine tests. The list includes 113 total products. Fifty-eight tests are listed for detection and diagnosis of a wide range of common conditions, providing an essential package that can form the basis for screening and management of patients. The other 55 tests are designed for the detection, diagnosis and monitoring of “priority” diseases including HIV, tuberculosis, malaria, hepatitis B and C, human papilloma virus and syphilis. The Essential Diagnostics List categorizes each test and specifies the type of test and intended use, format, and if appropriate for primary health care or for health facilities with laboratories. It also provides links to WHO Guidelines and, occasionally, to prequalified products. Mirroring WHO’s Essential Medicines List, which has been used for four decades, the Essential Diagnostics List was formed to serve as a reference for countries to update or develop their own list of essential diagnostics. WHO officials are expected to update the Essential Diagnostics List on a regular basis, the organization stated. In a matter of months, WHO ask for applications to add categories to the next edition. The list will continue to expand over the next few years, as other important areas of neglect are highlighted. WHO began developing its Essential Diagnostics List in response to an advocacy campaign that includes researchers from McGill University in Montreal, Canada, the University of Michigan, the Global Health Technologies Coalition, and the Foundation for Innovative New Diagnostics, among others. The message these combined organizations told WHO is that the organization really needs to address the gaping gaps in diagnosis practices around the world. The list of improvements has been applauded by media outlets as far as in China. Diagnostic practices influence about 70 percent of healthcare decisions, but only three to five percent of healthcare spending goes into diagnosis tests. That’s one of the reasons why an Essential Diagnostics Test is needed today.